Unlike router-centric and basic SD-WAN solutions, EdgeConnect enables you to shift to a business-first networking model. EdgeConnect business intent overlays enable you to create a virtual WAN for every class of traffic. Application performance, security and routing are dictated by top-down business policies, not bottoms-up technology constraints. Once overlays have been defined, configurations are automatically programmed to all sites, ensuring consistency across the network. With EdgeConnect advanced performance features, end users experience always-consistent, always-available application performance including high quality voice and video over broadband connections. Real-time monitoring of network conditions and automatic adaptation assures the highest quality of experience whether applications reside in the data center or in the cloud and accelerate problem resolution for IT. First-packet iQ™: Innovative application classification technology identifies more than 10,000 applications and more than 300 million web domains on the first packet to securely and granularly steer trusted cloud traffic across the internet from the branch. Cloud Intelligence: automated application definition and IP address updates keep pace with constantly-changing cloud applications. 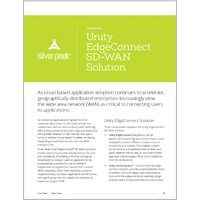 Designed as one, EdgeConnect unifies SD-WAN, routing, firewall, segmentation, WAN optimization and application visibility and control in a single platform to consolidate and simplify WAN edge architecture at the branch. Click on any part of the diagram to see more information. 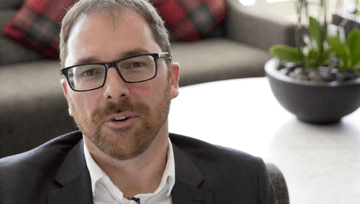 The industry's only business-driven SD-WAN edge platform, EdgeConnect ensures that the priorities of the business are always reflected in the way the network behaves. Business intent drives applications, and network resources are priority-driven to match the business criticality of every application. 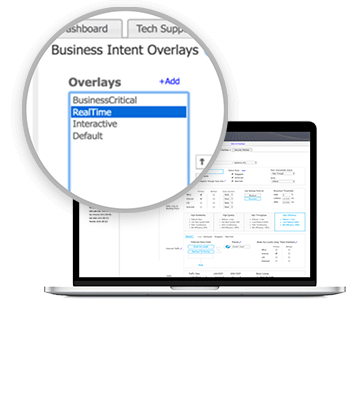 Orchestrator centrally defines business intent overlays that control how applications are delivered across the wide area network. From a single pane of glass, IT can quickly define Quality of Service policies, security policies, failover prioritization and service chaining to third-party network and security services for 100s or 1000s of locations. 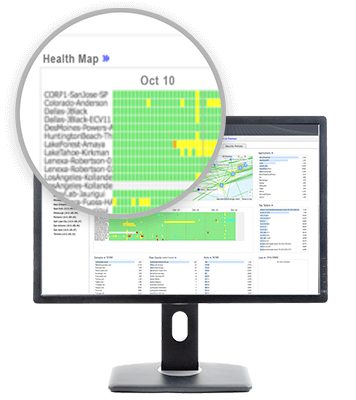 Advanced real-time traffic monitoring and historical reporting accelerate troubleshooting and root cause analysis. From Orchestrator, IT defines and configures QoS and security policies for groups of applications based on business intent. The EdgeConnect SD-WAN steers or routes traffic across the network in compliance to policies. 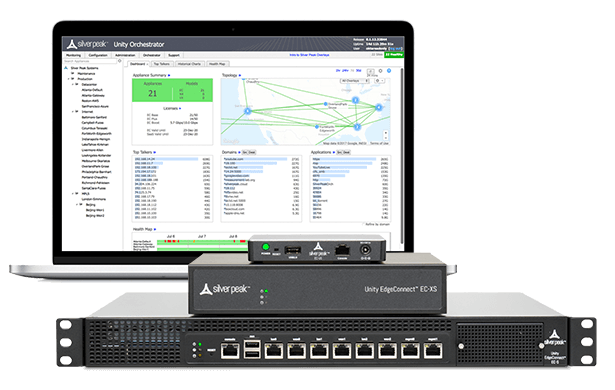 Through real-time monitoring of applications and network services, the SD-WAN identifies any network impairments and automatically “adapts” traffic handling to deliver the highest Quality of Experience to users. This requires identifying the application on very first packet to steer it to its proper destination. It also requires automated application definition updates to keep pace with ever-changing cloud applications. 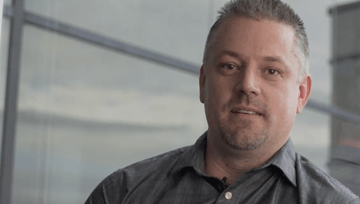 Through advancements in machine-learning, Silver Peak is going beyond automation and templates to enable customers to build a self-driving wide area network that gets smarter every day. EdgeConnect automates real-time response, eliminating the impact of brownouts and blackouts as continuous monitoring and analytics detect changing conditions and trigger immediate adjustments. With EdgeConnect, IT defines virtual WAN overlays that specify QoS, security and traffic handling policies for groups of applications based on business intent – business intent overlays. For example, a BIO is defined for real-time applications like voice and video conferencing that ensure high priority, low latency and high availability. A second BIO might be defined for file transfers that require high throughput but can tolerate higher latency and jitter. Once BIOs have been defined, the EdgeConnect SD-WAN automatically manages and routes application traffic to deliver the highest Quality of Experience to users based on business intent. By continuously monitoring application performance and WAN transport performance, EdgeConnect adapts traffic handling in real time. For example, if a transport service experiences excessive packet loss or jitter, EdgeConnect will stop sending traffic across that link. Since traffic is load balanced across multiple links, even for a single session, applications continue without interruption across the remaining links. Once an impaired link recovers, EdgeConnect resumes traffic flow across it. 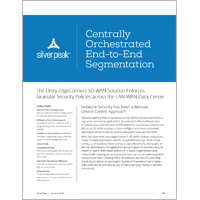 An EdgeConnect SD-WAN improves enterprise security across the WAN. All application traffic that traverses within the enterprise is transmitted across AES 256-bit encrypted tunnels. Adaptive internet breakout enables granular security policy enforcement for cloud application traffic. A built-in zone-based firewall enables IT to configure end-to-end zones that segment users, applications and WAN services that span the LAN-WAN-Data Center. EdgeConnect also includes robust features that secure the SD-WAN infrastructure including a two-step authentication process before admitting a new appliance into the network, encryption of all control traffic and role-based access control to Orchestrator. There is an old adage that “you can’t control what you can’t measure.” A corollary is that you can’t measure it if you can’t see it. 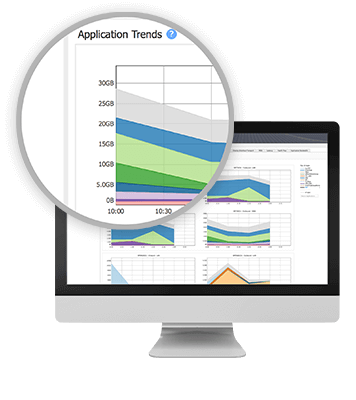 EdgeConnect provides continuous real-time monitoring of both network performance and application performance. Through machine learning and automation, EdgeConnect uses this information to automatically adapt to changes or impairments of network resources (packet loss, latency, jitter, a complete outage) to keep applications running at peak performance. Real-time and historical reporting provide IT the tools they need to troubleshoot problems quickly. 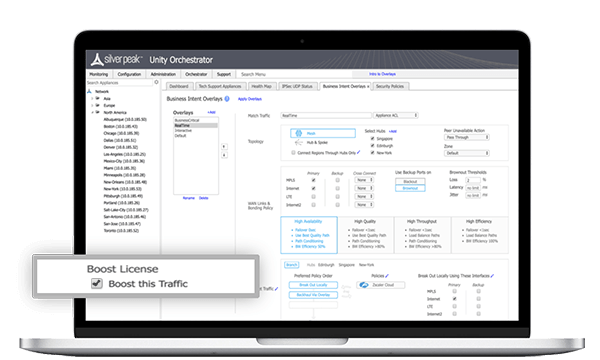 Unity Boost optional WAN optimization performance pack improves the performance and response time of latency-sensitive applications, where and when needed. Data deduplication and compression techniques reduce transmission of repetitive data. EdgeConnect virtualizes WAN transport services – broadband, MPLS, 4G/LTE, satellite and more – to create a resource pool. 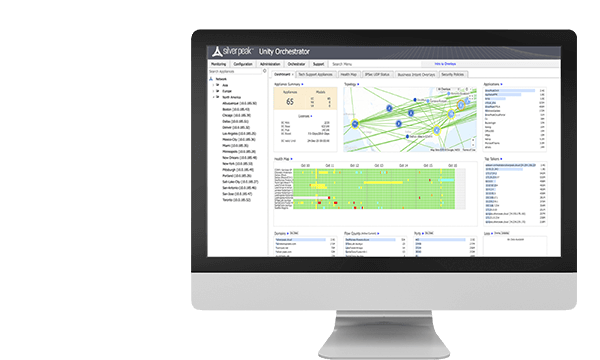 By continuously monitoring of the packet loss, latency and jitter of all transport services, EdgeConnect automatically routes traffic across one or more of these services based on policies defined in business intent overlays. If a transport service experiences a brownout or a blackout, EdgeConnect automatically adapts traffic routing to ensure the highest application quality of experience for users. Centralized orchestration steamlines the configuration, deployment and ongoing administration of the SD-WAN, increasing IT operational efficiency. IT defines application-specific policies that specify priority, QoS requirements and security policies centrally and once. 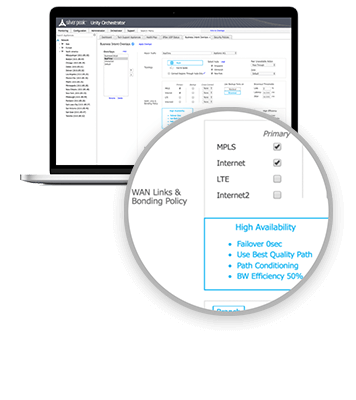 With a single click, the configuration is automatically programmed to all sites in the SD-WAN, whether 10 sites, 100 sites or 1000s. 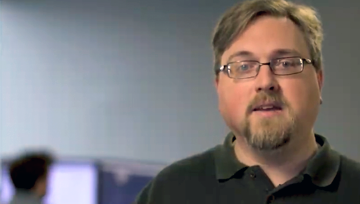 This minimizes human errors and ensures consistency across the network. 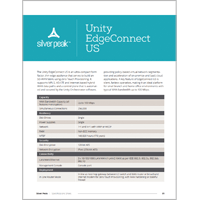 Unity Orchestrator™ is the brains of the EdgeConnect SD-WAN edge platform empowering enterprises with the unique ability to centrally assign business intent policies to secure and control applications across the WAN. When branch offices are deployed as part of an SD-WAN, enterprises may require higher performance for specific applications. Enterprises can subscribe to Boost and accelerate application performance as needed. Device-centric approaches have hit the wall and can’t keep up. These offerings fall short—good enough won’t deliver what you really need. Tennessee Oncology deployed EdgeConnect across 31 community-based clinics, bonding broadband links, and applying application-based QoS to deliver consistent, high quality patient care. Combined with our patented software, we’re now able to bring mobile telemedicine to areas that would have been impossible in the past due to poor signals. 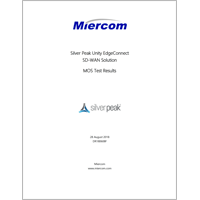 With Silver Peak, we’re now able to fully utilize broadband connectivity, assure application service levels, and dramatically simplify WAN management. See complete specs including capacity, resiliency and dimensions.